Getting my Level 3 was something I had long aspired to - going all the way back to 2005, when I got my Level 2 on a joint 2/3 course up in Ottawa. Seeing the difference between the levels made me realize I had work to do if I wanted to get it. I didn't know it would be 13 years before I made it happen. Pick an excuse, I probably had it - skiing not good enough, not sure if I my teaching was good enough, too busy travelling, bad snow year, no course in my region, hangnail, bad hair day, etc., etc. After doing a Level 3 prep course for about the 1,312th time, and hearing that 3 course was going to happen in southern Ontario, I finally said to myself, "Just shut up and do it." 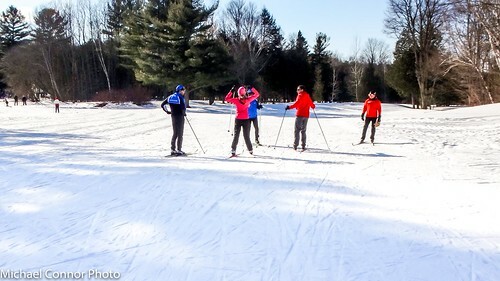 So, over two weekends in January and February of this past winter, a group of us took the challenge at Horseshoe Resort under the eye of course conductor J-P Lavoie, who is also the Ontario XC technical director. So what comes from taking a Level 3 course? I think I can sum it up in 3 things: more dynamic skiing; improved teaching; and better technical analysis. For my skiing, I don't think it has ever had so much joint flexion and extension. The course also opened up the chance to learn and practice utilizing new styles of teaching. And I think it helped me develop a better eye for things my students need to practice. So, if you're thinking about getting your Level 3 (or moving up any level) get working on it now. 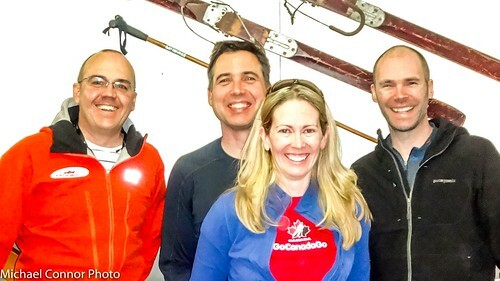 John McHutchion is a CANSI Level III X-country instructor with High Park Ski Club of Toronto, Ont.